Beauty Lash MD Review | Does Beauty Lash MD Work to Grow Eyelashes? Ladies will try just about anything to make themselves look more attractive. Fortunately, there's an endless supply of beauty products available in stores and on the web to help them achieve their goal. Beauty Lash MD is an all natural eyelash conditioner created to make a woman's lashes longer, thicker, darker and stronger in a matter of weeks. Ladies can look younger and more gorgeous with the right product for their eyelashes. Beauty Lash MD's customers have voiced their approval of the product, as it does not cause any irritation to the human eye. 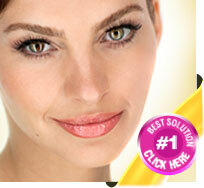 Many women appreciate how Beauty Lash MD makes their eyelashes visibly long and full. At the same time, a 4.5 ml bottle of Beauty Lash MD lasts approximately three months at a time. After one lady used Beauty Lash MD two times a day for three weeks, she noticed more and more new and thick eyelashes growing. After six weeks of using the product, she only needed a single coat of mascara to get the look she wanted. She even cut back to applying Beauty Lash MD once a day. And by week eight, she didn't even need mascara. But there's a flip side. Once she stopped taking Beauty Lash MD on a regular basis, her eyelashes grew in weak and thin. It looks like she'll be a customer for life. Beauty Lash MD is made up of safe and natural vitamins, peptides, and botanicals. The product's special mixture gives new life to eyelashes, as it makes them grow with support and glowing elasticity. The main ingredients of Beauty Lash MD are biopeptides. Amino acids, Sodium Hyaluronate and Tocopheryl-Vitamin E hydrate also help the product to repair skin, making it look fresh and strong. These websites' photos and promotions are often questionable. Feedback of the product varies from extreme to the other. Consumers don't know if they can really trust Beauty Lash MD until they buy it for themselves. The natural ingredients of Beauty Lash MD are safe on a woman's face. While costing more or less $60 a bottle, it is neither on the costly or the inexpensive side.